There is a special kind of joy to be found in starting the day with the scintillating aroma of coffee wafting through the house, promising that perfect cup of joe, with just the right flavour and body to make you feel like you can conquer the world — even the Monday ahead of you. We understand how special that feeling is and how hard to come by it can be. Hence, we tasted all the homegrown gourmet coffee we could lay our hands on (no mean feat) and learned many interesting stories along the way. Below, we’ve rounded up the best of the best. The founder of Flying Squirrel, Ashish Dabreo grew up drinking fresh coffee from the Coorg estate of his friend Tej Thammaiah. 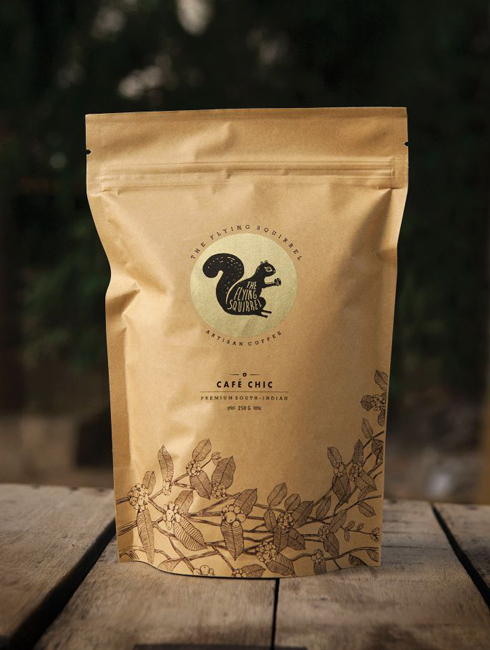 Later he partnered with the farmer to start Flying Squirrel, a gourmet Indian coffee company. Products: They sell seven different varieties of coffee, some of which include a 100% arabica (Aromatique), an organic one (Sattva), a pulp sun-dried variety (Sunkissed) and Ashish’s favourite — their signature blend (Parama) that has chocolate and caramel flavours. Verdict: We have to agree with the owner on our favourite variety being their luxury blend called Parama. With its chocolatey flavours, it is a strong, intense cup of coffee that works great with milk and sugar too. The other one we enjoyed thoroughly is Deep Bliss, which like its name promises, is a deep dark coffee with an immensely satisfying taste and feel. You can buy their coffee here. 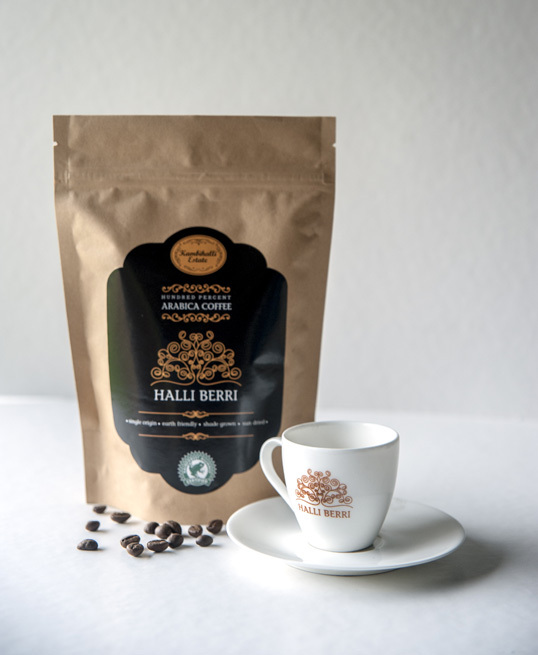 Tejini Kariappa, who also happens to own the PR agency Estrada, started Halli Berri after the growing popularity of the coffee from their estate, Kambihalli. Earlier, apart from selling under white labels, they would serve this coffee to travellers at her mum’s famous Coffee Barn Cafe. The name, in case you’re wondering, means village berry, halli meaning village in Kannada. USP: Having owned plantations for over six generations, they continue to use entirely sustainable practices. “We are sustainably farmed, shade grown, sun-dried and handpicked,” says Tejini. 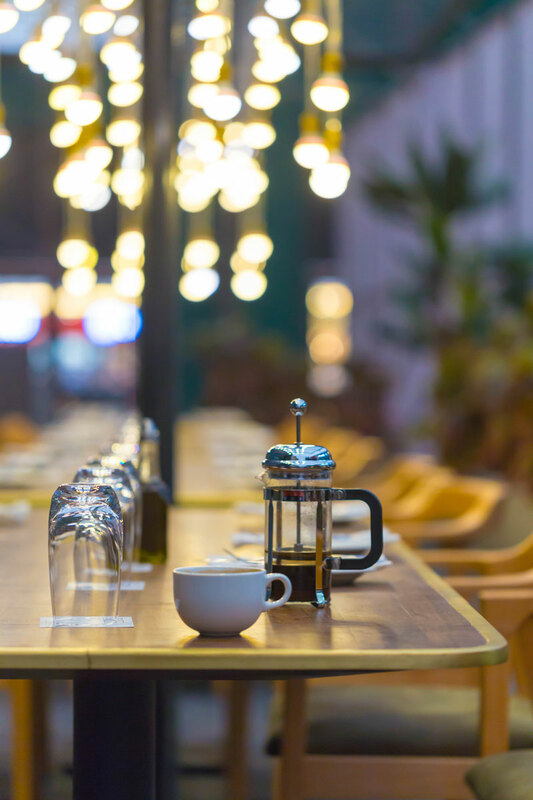 Due to their commitment to reduce their impact on the environment, they are one of the few coffee brands in the world to have a Rainforest Alliance certification. Not to mention, they are an all-woman concern! Product: They have a single origin, 100% arabica coffee. Verdict: The coffee has a clean and crisp taste, with slightly acidic notes. A great way to kickstart the day. Tejini recommends using their coffee decoction to make cold coffee. USP: All the coffee they source is consciously farmed and free trade and most of their varieties are single estate coffees, keeping the flavours of their region intact. Products: They have seven varieties of coffee, among which are their most popular (currently sold out) Malnad Coffee, which is their South Indian filter coffee and the rather special Monkey Bitten coffee, which as the name suggests, has been bitten by monkeys and thus has a sweet, mild flavour. Talk about specialty coffee! 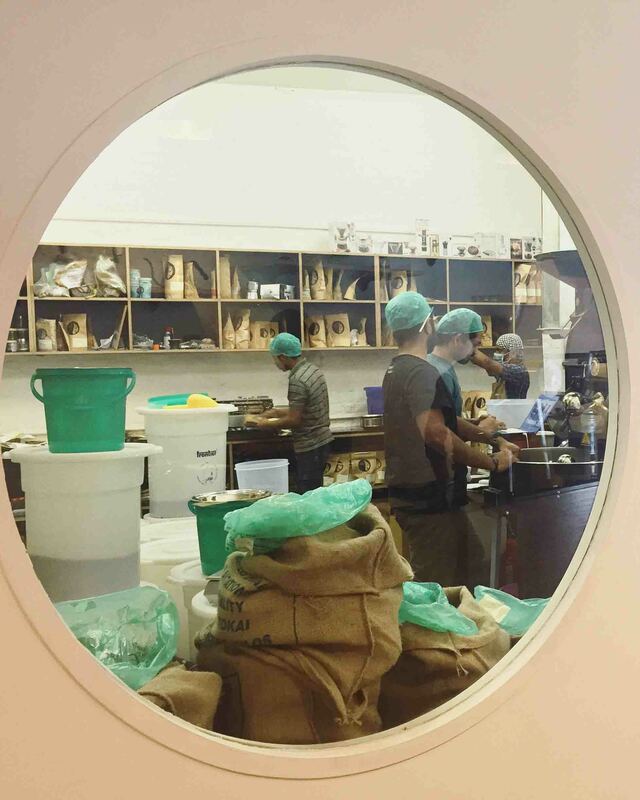 The now-Delhi-based couple Matt Chitharanjan and Namrata Asthana started Blue Tokai when they moved from Chennai and saw a dearth of good, freshly roasted arabica in the north. “We were a bit tired of getting Indian coffee that had been roasted months ago or imported coffee that was extremely expensive due to the import duty,” says Namrata. USP: Blue Tokai is unique firstly in their mission statement. They are coffee roasters who want drinkers to know where their coffee comes from and give credit for its quality to the farmers and estates that grow them. Secondly, they freshly roast the coffee on order and send them out for delivery twice a week. They will customise your roast according to your preferences and they publish the roast date on the package, so you don’t end up drinking stale coffee. Products: They source coffee from about nine different estates. 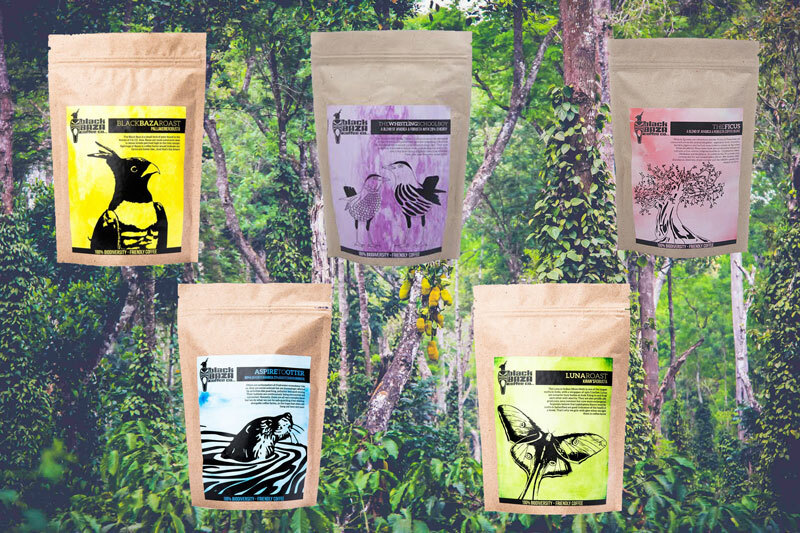 Whether you like your coffee to be smoky and bitter, fruity and nutty or chocolaty and creamy, they have coffees with all kinds of flavour profiles, including a couple of certified organic varieties. Verdict: While the Kalledeverapura Pulp Sun Dried was lovely — not too acidic with a rounded nutty flavour, we really loved the Attikan Estate coffee, with its sweet, nutty dark flavour that went great even with milk and sugar. It is the perfect, refreshing morning cuppa to kickstart the day. While doing her PhD on sustainable coffee production from the University of Cambridge, Arshiya Bose realised that coffee farming in India was increasingly moving from shade-grown to sun-grown farming, thereby increasing the environmental impact of growing coffee. Initially started as a conservation project, Black Baza recently began selling their coffee in order to support the coffee growers to follow biodiversity-friendly farming. Products: The fact that they control every aspect of the production of their coffee, right from the pre-harvesting stage to crafting blends, micro-roasting and custom-grinding means they can ensure the quality of your cup of coffee and make it kinder on the environment. Among their six varieties are the Black Baza Roast (a smoky robusta), the Luna roast (a fruity robusta with notes of dark chocolate) and the Whistling Schoolboy (their version of traditional South Indian filter kaapi). Abhijit Shetty’s family has been into coffee cultivation for over a 100 years, in which time they have acquired over 2000 acres of coffee plantations in Chikmagalur. 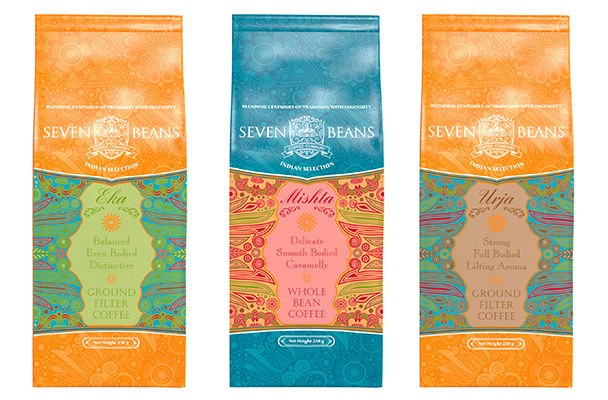 When he realised that the Indian coffee that gets exported is highly sought after by the world’s best roasters, he wanted to bring that same grade of coffee to the Indian consumer and thus started the Seven Beans Coffee Company. USP: Apart from controlling the entire process from growing green beans to packaging the final coffee, Seven Beans works in partnership with Dr. Dante Cagliari, a 4th generation Roastmaster from Modena, Italy, who has 50 years of personal experience in blending and roasting. 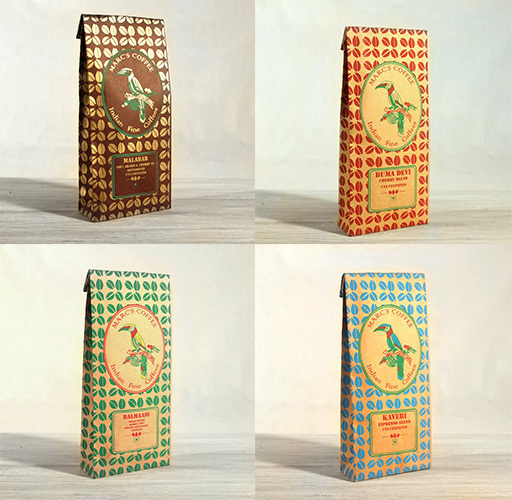 Combining four generations of Italian expertise in roasting, with four generations of Indian cultivation wisdom makes their coffees truly unique. Products: Their Indian origin coffees are Urja ( strong and full bodied), Mishta (delicate and caramelly) and Eka ( unique and balanced). Marc Tormo Altimira, who currently lives in Auroville and runs a cafe called Marc’s Cafe, Roast & Taste, has travelled the world, including Barcelona and Ethiopia to learn about coffee cultivation. After settling in Auroville, he travelled extensively across the Western Ghats to learn about Indian coffee and to source the best beans to roast. 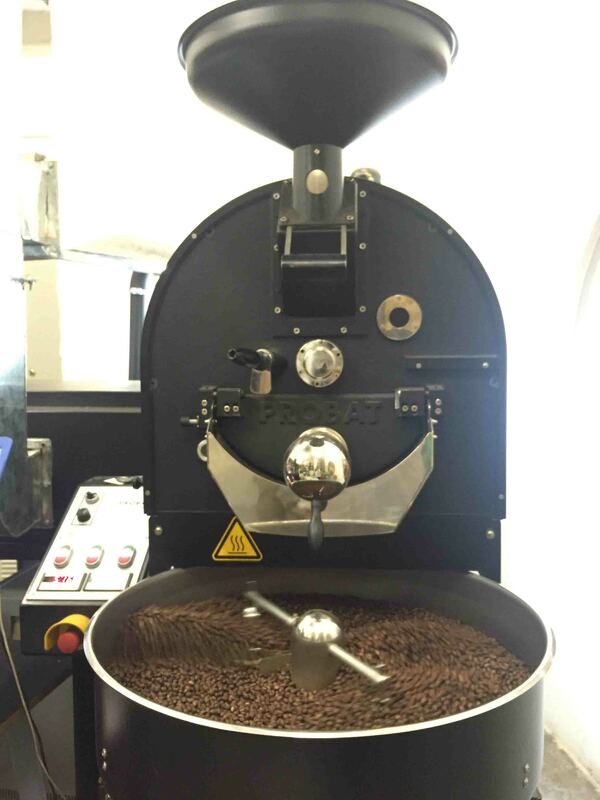 USP: They roast and sell high quality coffees that are bio-dynamic, organic, fair trade and UTZ certified (it means that the product is sustainably farmed and is fair to producers and the environment). 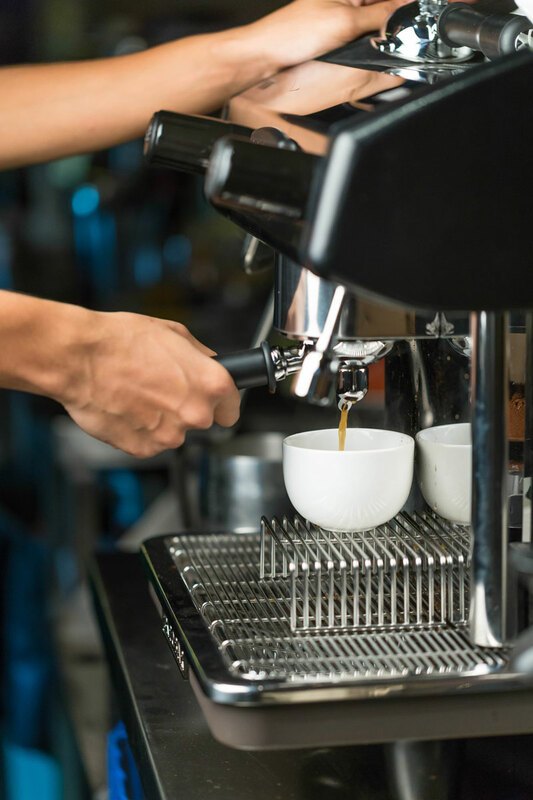 Products: The varieties available are the Bhuma Devi (robusta and arabica blend with medium acidity), Kaveri (an espresso blend) and Malabar (monsooned arabica with caramel and nutty notes) among others. All of their coffees are sourced in small batches and can be roasted according to your preferences — light, medium or dark. Verdict: Our favourite is the rare Balmaadi coffee, a single estate 100% arabica. It is fragrant, has balanced acidity and a great strong taste. It also has the prettiest packaging, to display on our shelf. 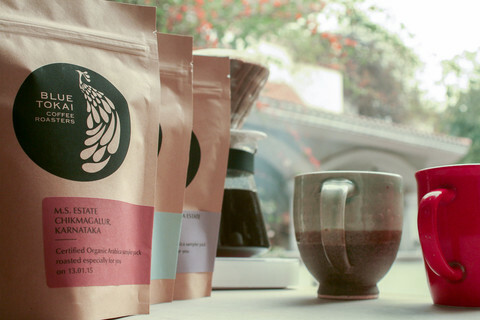 If you would like to taste your coffee before buying it, head to Craft in Mumbai. They serve three blends which are exclusive to Craft and can be bought at their deli. Products: The three blends available are: House blend (rich, smooth, light roast), Roast Intense (strong, full-bodied, medium dark roast) and Monsoon Malabar (fruity, aromatic, medium roast). Verdict: We loved the Monsoon Malabar which has a lovely mellow taste, perfect for a moody afternoon. The coffee can be bought at the deli counter of Craft in Kurla, Mumbai. 1. Most of the coffee available in supermarkets is stale. While different coffees have different shelf lives, most filter coffees should be had within two to three weeks of roasting. Hence, it’s best to buy freshly roasted coffees in small batches. 2. Don’t use boiling water to brew coffee, as water at this temperature burns the coffee grounds, leading to a bitter cup instead of a smooth one. Instead, take water off the boil, wait for 30 seconds and then use it. 3. Don’t overheat the milk either. The ideal temperature, at which milk naturally tastes sweet is around 65C. 4. Blends are not inferior to single origin coffees and single estate coffees in India are not the same as single origin coffees. People in developed countries, that don’t grow any coffee of their own, seek single origin coffees because the characteristics of coffee from different parts of the world (like India, Ethiopia, Brazil etc) are very distinct. However, as 70% of the coffee produced in India is grown in Karnataka, the intrinsic characteristics of the beans are very similar. 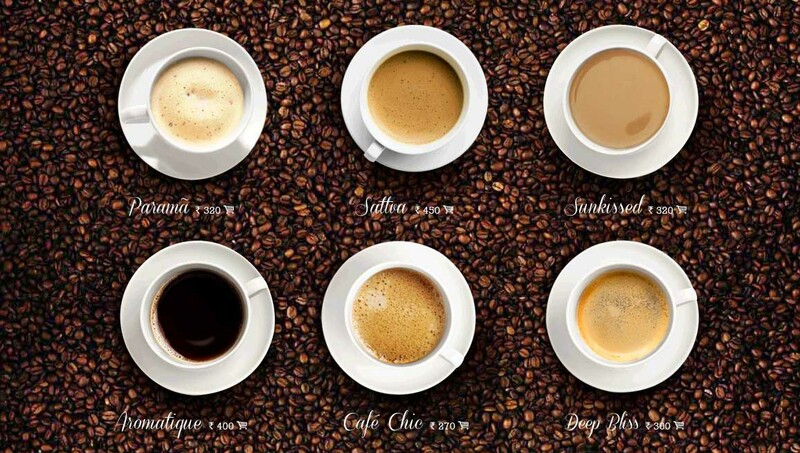 Therefore, sometimes to get the desired flavour, balance and body, coffees are blended to give you the perfect cup. 5. When grinding your coffee, or ordering it online, make sure to specify the type of brewing method you use. Each method from the french press to the moka pot to the south Indian dabba filter, requires a different fineness of grind for optimum extraction of coffee flavour. 6. Use bottled or filtered water to make coffee, instead of water from the tap. 7. Instant coffee is not really coffee. It is made using the most inferior quality beans. They dehydrate brewed coffee and aroma and flavour is then added back artificially. 8. To get the real, natural flavour of coffee, never re-heat a cup or re-use coffee grounds.